Molybdenum, an essential mineral, plays an important role in your body's biological functions. Although this trace mineral is available in liquid and capsule form, food is the main source for most people. 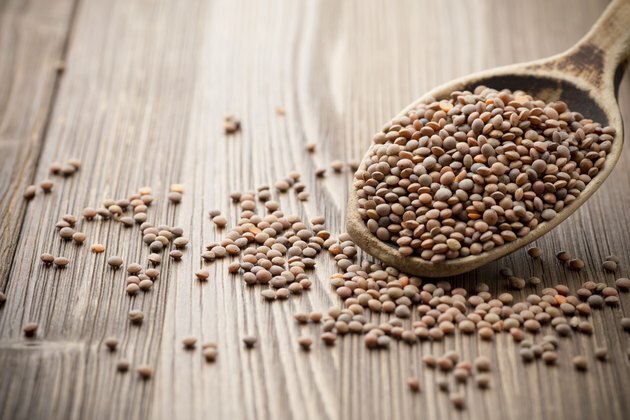 Molybdenum is commonly found in legumes, including beans, peas and lentils, leafy vegetables, grains, nuts and liver. Mineral water or "hard" tap water may also contain molybdenum. The recommended dosage of molybdenum should be safe and effective. Ingesting excessive amounts, however, could in theory lead to copper deficiency, according to New York University Langone Medical Center. The center advises that people with serious kidney disease should consult a physician before taking molybdenum or any other supplement. The daily value set by the U.S. Food and Drug Administration is 75 micrograms based on a 2,000-calorie-per-day diet.